← Christmas Countdown: Hershey’s 1982 Holiday Gift Catalog! The Return of Dr. Pepper Bubble Gum and More! This year Wrigley introduced two new soda pop-flavored Hubba Bubba flavors with one of them, Hubba Bubba Dr Pepper, serving as a bubblegum-soda-flavor-comeback of sorts. Cola never caught on as a bubble gum flavor here, but Wrigley UK and Wrigley Australia still offer it as part of their standard Hubba Bubba lineups. 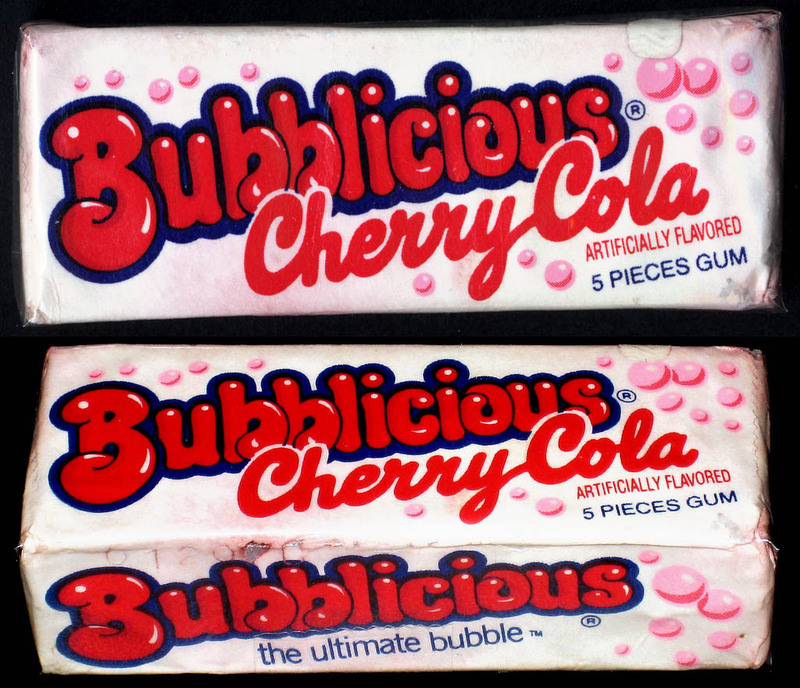 As you can see, the idea of bringing refreshment flavors to bubble gum is a concept that has been returned to from time-to-time, with varying degrees of success and longevity. 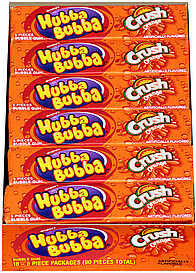 I hope that these new Hubba Bubba soda flavors lead to additional soda-flavored bubble gum offerings in the near future. I’d love to see a Mountain Dew flavored bubble gum – it might be weird, but I’d want to try it anyway. It would be especially-cool to see something like that with throwback Mountain Dew logo packaging. It’s a long-shot, but I’m crossing my fingers! And that’s everything for today’s post. I hope everyone is having a great holiday season and is ready to ring in 2013 this coming Monday night. This entry was posted in 1980's, 1990's, Bubble Gum and tagged 1980's, 80's, 80's bubblegum, 80's gum, Amurol, bubble gum, bubblegum, candy collecting, candy collection, candy collector, candy wrapper collection, candy wrapper collector, collectible, collecting candy, confectionery, confections, Freshen Up, Hawaiian Punch, mascots, packaging, pop, soda, soda pop, sweets, vintage candy wrapper, wrapper, Wrigley. Bookmark the permalink. 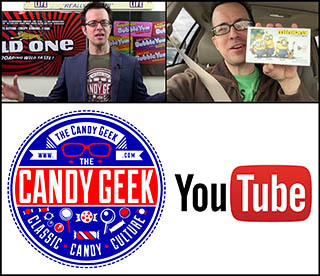 4 Responses to The Return of Dr. Pepper Bubble Gum and More! 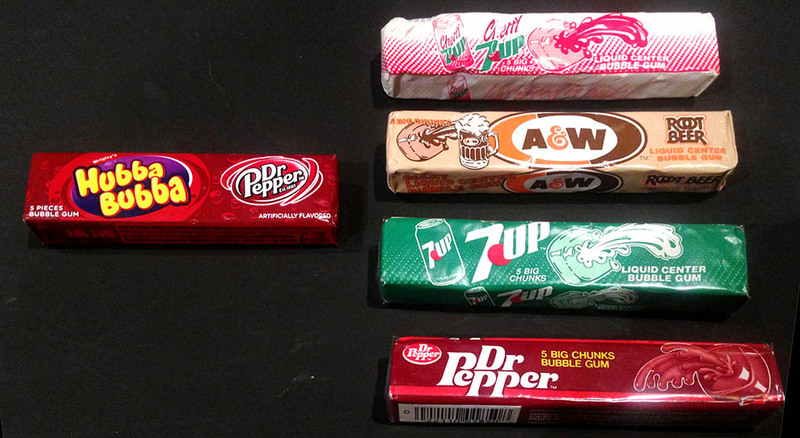 I’m looking forward to trying that Dr. Pepper gum. Some Hawaiian Punch gum sure sounds good, too. Maybe they’ll bring that one back.